PHSO are once again in transition. The recent loss of both the Ombudsman, Dame Julie Mellor and the Deputy Ombudsman Mick Martin under a cloud of collusion has left the reputation of the Ombudsman’s office somewhat dented to say the least. Public confidence is essential to public services. No matter what chaos is happening on the ground the public must remain confident that the organisation is working for the common good. Rule number one in Sir Humphries Rule Book. Rob Behrens took up the role of Ombudsman in April 2017 and is in charge of the new strategy to be launched in 2018 and last until another new strategy is introduced. His first priority has been to listen to critics, learn lessons and with improvements in place, restore public confidence in the Ombudsman service. THE NHS provides excellent care to thousands of people day in, day out. We all have an understanding of the pressures the NHS faces, but this should not stop people from speaking up when things go wrong. Data published last week by NHS Digital revealed that there were 208,400 complaints about the NHS in 2016-17. However, all too often, patients and their families are not fully aware of their rights. The NHS Constitution states that everyone has the right to complain, to have their complaint about NHS services acknowledged within three working days, and to have the matter properly investigated. It is important that patients are also aware that if they are dissatisfied with the way in which their complaint is handled, they have the right to bring their complaint to us the Parliamentary and Health Service Ombudsman (PHSO) for an independent and impartial view. Where the PHSO upholds complaints, we recommend that the NHS puts things right by offering an appropriate remedy. This might be an apology, a financial remedy, the creation of action plans to ensure mistakes are not repeated, the introduction of additional staff training, or changes to policies and procedures. Throughout our work, we see a wide variation in the quality of NHS complaint handling so it is imperative that people know their rights and are not afraid to complain when mistakes are made. You may indeed have the right to complain to the Parliamentary and Health Service Ombudsman but you do not have the right to an investigation. That is up to the Ombudsman’s discretion. In 2016-17 about 25% of the complaints made were assessed, only 13% made it to investigation and a tiny 4.7% achieved any type of uphold. For 95% of the people submitting a complaint, it was nothing but a frustrating, waste of time. there is a success criterion to consistently achieve 95% positive or neutral media coverage. 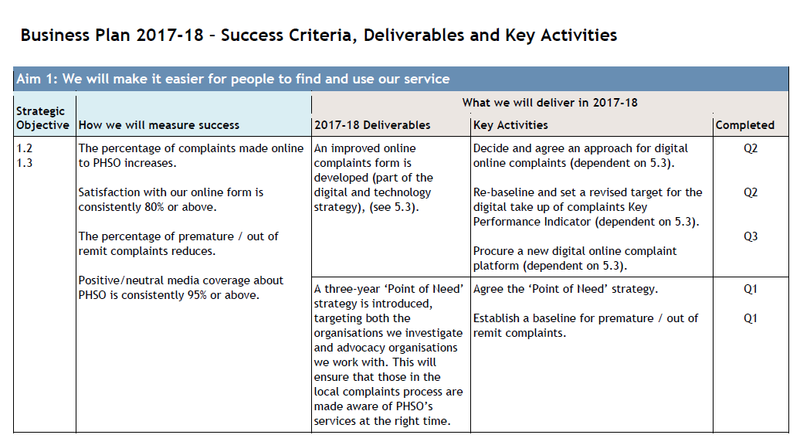 By default, the media coverage will be positive when we all have something good to say, but it would appear that PHSO aims to meet the criteria without necessarily achieving the success. PHSO regularly release positive statements on Facebook demonstrating the values of their organisation. Comments are then made by members of the public and in my experience, these comments tend to be negative. In fact, I have never read a positive one yet. On recent postings, I’ve noticed that it is possible to see the number of comments made but for some reason, the comments themselves will not open. Mmmmm – very curious. The same is true for PHSO posts to twitter. The comments are hidden from public view. Why would this be? 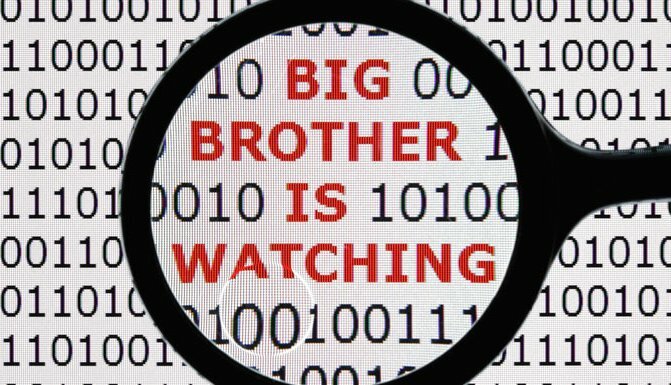 Meeting the media target requires close monitoring of social media but it shouldn’t include censorship. To open, Mr Behrens stated that the Ombudsman is ‘independent’ and ‘impartial’ yet there is no evidence to support this view but that of the Ombudsman himself. The Patients Association, phso-thefacts and submissions to PACAC repeatedly cite bias towards the public body under investigation. But no doubt Mr Behrens would disagree with that. He disagreed on a number of points made by Mr Morrish but did not substantiate the reasons why. Is this a genuine attempt to listen and learn or just a masterclass in PR spin? Disagreement without good reason is just denial. Within two days of publication, Conservative Home received a complaint from PHSO regarding the accuracy of the article. No doubt PHSO would have been delighted for the piece to be removed or amended to their satisfaction. Fortunately, Mr Newsome did neither. But this is all very worrying. When you achieve your media target by controlling the media coverage you have clearly missed the point. My advice to Mr Behrens would be to get on and deliver a customer focused Ombudsman service, hold authorities to account and make sure that learning is acted upon. Let the positive media coverage follow all by itself and be a true measure of his success. I would be delighted to publish a good news story on phso-thefacts, I just don’t have one yet. Previous Previous post: PHSO offers to train NHS staff to improve complaint handling. Absolutely. I am just heartily sick of the lies and corruption at PHSO. It’s beyond boring that they think they have us fooled. Denial is 100% correct. Why bother. Those who are aware of the PHSO’s existence have nothing good to say about it and their hypocrisy astounds me. They criticise the NHS roundly whilst they are in cahoots with them and rubber stamping their incompetence, negligence and corruption. New name Mr Behrens, but well worn tactics and nothing new to see here folks, move along. We need a MIPO or a class action against PHSO. They are pathetic and an unbelievably shocking waste of public funds. Whoever is pulling the strings needs to wake up and recognise that the public sees straight through the fluff. I have read your piece and fully support your comments. I currently am in dispute with my GP Practice who because I complained to them in April 2016. have in August 2017 removed me from their practice. I shall now be taking legal advice from avma and suing the hell out of the practice. The practice is included in my report to the House of Commons on 4/07 /2016. There is no point in going to PHSO for two reasons..
(2) They do not obtain evidence from the party complained about. and indeed cover up for those complained about in the majority of cases. I am printing off a copy of this report and sending it to to my G.P. practice just to show them that obscure excuses and prevarication do not work in 2017. It seems that we the public expect our doctors in both GP and hospital practice to know everything, and we put them on a pedestal.. It is time more of them were knocked off their pedestals and learned to treat patients with “Dignity and Respect ” as per article 3a of the NHS constitution. . The Ombudsman has been complicit in allowing repeated perjury to be progressed against me since October 2015. I am embittered and traumatised by ALL communications with the The Parliamentary Ombudsman, hence my inability to participate in the PHSO Pressure Group meeting with Rob Behrens today. It was Della’s voluntary work that has alerted me to the fact that the whole set up of the Ombudsman is “Corrupt By Design”. A basic view of the legislation behind the Ombudsman confirms that and the agenda is to cover up crimes and negligence against the public when we’re at our most vulnerable. The Ombudsman wants to listen? Unfortunately, The Parliamentary Health Service Ombudsman did “listen” to me between 2011 and 2014. Their formal 2014 report acknowledged multiple “maladministration” against me. Great? Except that the Ombudsman refused to clarify Which, Who and When the maladministration happened? The Ombudsman refused to review the impact of 7 years of Misconduct In Public Office by Government Agencies on my Health, Family, Career and basic Human Rights. since April 2009, I have complained to and copied 40 Government Departments into my GP’s factually incorrect referral letter dated 30th March 2009. This referral letter incorrectly stated that I was an addict of legal and illegal substances and had “two children in care” back in Manchester. Please note that this referral letters was one of many communications between my GP, the police, councils and The Mental Health Services. ‘Erh? I’ve not had children? I wish I was an addict; then I might have better coped with the Kafka-esque Hell that St. Edmundsbury Borough Council, Suffolk County Council and Suffolk and Norfolk Police PSD Departments have subjected me to since 2009. March 2015, after the PHSO contacted my GP, I was struck off. July 2015 I take The Mental Health Services and SERCO for blocking me from resolving the false data progressed against me by me GP. 16th October 2015, NHS lawyer Maeve Sykes and SERCO’s lawyers sign a “Statement of Truth” stating that the letter never existed and their Defence was that I had imagined it. What is the point of The Information Commission and The Parliamentary Ombudsman “listening” or reading evidence when they refuse to acknowledge the perjury progressed against me since 16th October 2015 following their inept and sloppy investigations on receipt of my complaint about the March 2009 referral letter? Nevermind that I am stood in Norwich County Court court holding a copy of the same letter! Nevermind that I left another copy of the referral letter with Justice Judge Philips and then Nigel Colegate on 23rd December 2015! The above comment is not libel; this is the Truth. Rob Behrens knows all this, as does Helen Holmes, the Complaints Department and 40 former PHSO employees. They’re LISTENING alright but they’re doing “nowt”. Instead they just stand by as your records and files are wrecked beyond recognition by those who were in a position of power to HELP ME. I will be very happy to participate in a class action against not only the PHSO , but also NHS England, who are overall responsible for all the NHS Trusts in the country. Whilst browsing the House of Commons web site today I found a letter and a report from MIck King (LGO) and Rob Behrens (PHSO) which clearly defines what is wrong with the system what we have all suffered from .